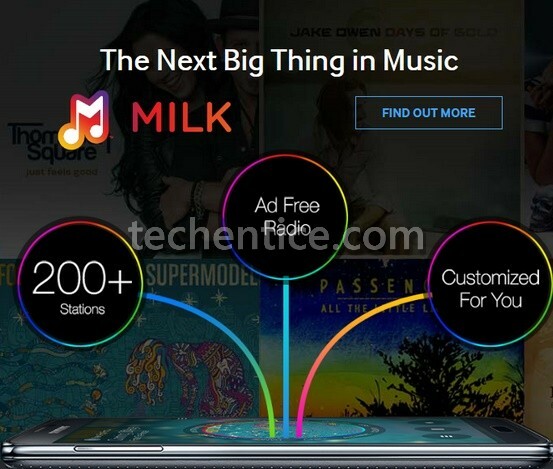 Milk is the next big thing in Music – that’s what Samsung says about its slack powered Milk music radio. This app is exclusive for Galaxy series and it is absolutely ad free. You can enjoy your favorite tunes recreated and remixed by DJs. Milk will blend music from more than 200+ stations specially customizes for the users. Mulk has a Fine Tune station that let you adjust your preferences on songs. There are 3 criteria Popular, New and Favorite and there is a slider with marker for each option. Move the arrow to change the settings. But the big thing is that it is free and ad free but for a limited period of time only and the app is available in US as of now. Right now Milk Music only is compatible with Note 2 and 3, and the Galaxy S3 and S4, but GS5 support is expected. Some more constraints suffeees by thus app would be no direct song selection, no offline caching, and you’d be only allowed six skips an hour.